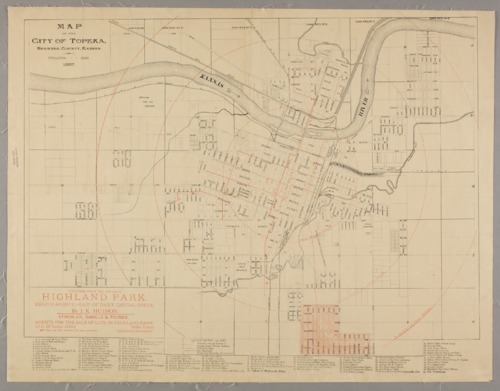 A map of Topeka, Kansas, published from the office of Highland Park for the sale of lots in the Highland Park addition. It shows city streets, distances from certain locations to the post office, railroad tracks, and a portion of the Kansas River. A list of area businesses, churches, and schools has also been included.